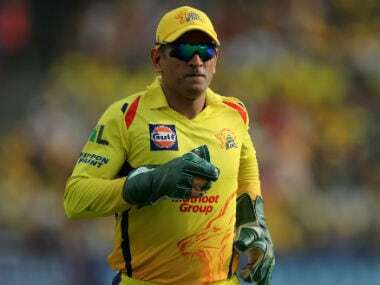 At the Indian Premier League (IPL) 2018 final in Chennai Super Kings’ (CSK) long-awaited comeback season, all of Chennai will look towards MS Dhoni's experience and sagely calm to see them through. MS Dhoni has made a career out of coming out triumphant when the pressure is at its highest. At the Indian Premier League (IPL) 2018 final in Chennai Super Kings’ (CSK) long-awaited comeback season, all of Chennai will look towards his experience and sagely calm to see them through. Sometimes, long after you’ve witnessed an emotionally absorbing battle, you surf through the memoirs to revisit the deserted field. One such picture from the first qualifier at Wankhede stands out more than others. There he is, Mahendra Singh Dhoni, sat with pads still on, in the middle of a nonchalant clap that would have you believe a teammate has scored a gutsy fifty. 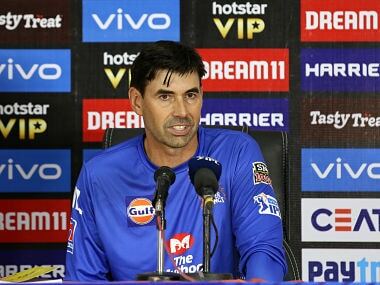 Around him, the entire Chennai Super Kings dugout, coach Stephen Fleming included, are on their feet, hands punching the air, ready to run onto the field to embrace Faf du Plessis and Shardul Thakur for pulling off a mighty, mighty chase. What writers struggle with after juggling a million words, this photographer accomplished in a microsecond with a quick tap of his right index finger. Years from now, when kids point to crumpled posters of Dhoni and ask questions, the word calm would be the impulse response for an entire generation. 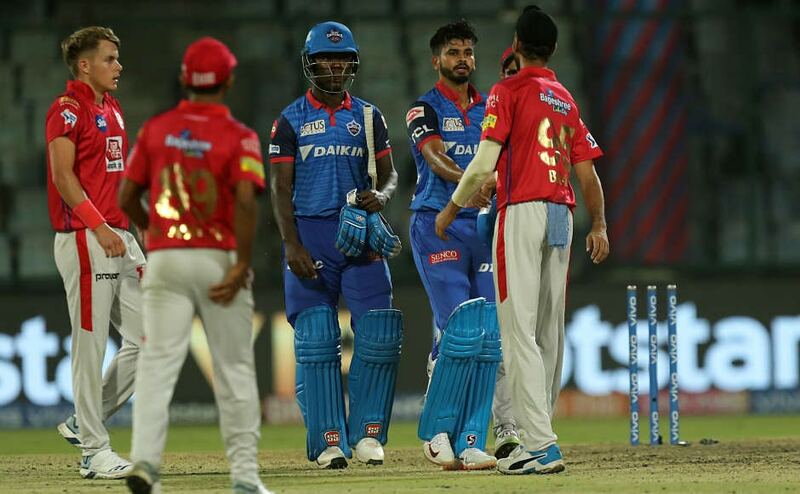 MS, as his doting teammates now call him, was calm when, as a 24-year-old with 22 runs in four innings to his name, he was promoted to number three at Visakhapatnam against Pakistan, ahead of statesmen like Ganguly and Dravid. He was calm while striding out at 7-1 in a chase of 299 against Vaas and Muralitharan, at a time when T20 hadn’t been conceived, chasing 300 was still a big deal, and AB de Villiers was yet to discover the scooped six beyond fine leg. 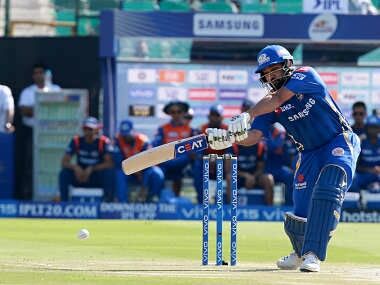 MS was calm when he had to choose between Joginder Sharma and Harbhajan Singh for the final over at Johannesburg, fully aware that his legacy and Indian cricket’s hopes of retribution after the disaster of the 2007 World Cup were hanging by a thread. 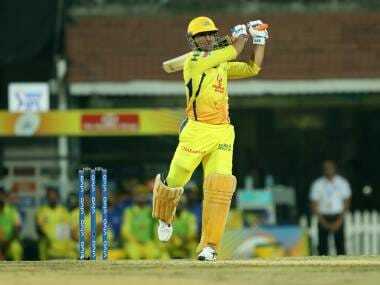 And MS was calm when early on in CSK’s grand comeback season, the big screen at M Chinnaswamy read out a target of 100 from 42 balls. MS has always been calm. Dhoni began his career looking more like the biker he always secretly wanted to be, than the cricketer his talents pushed him to become. Long, blonde locks, a batting technique that confounded most coaches of the world, and a strength of arms that left bowlers, fielders and non-strikers with jaws on the ground. Right in the middle of Sourav Ganguly’s army of young punks, there was a rockstar. This one time, even Pervez Musharraf couldn’t help himself but remark on his showman-like presence and aura, moments after Dhoni had finished off another tight chase for dinner. But rockstars are also eccentric and on-edge, their reputation driven by prodigious talent and an all-engulfing thirst for spotlight and intoxicants. And probably, that is where MSD has carved out his niche as a gift to Indian cricket like no other. For someone so gifted, India’s iceman has played the sport as if anything beyond the field is just embellishment. Once the final runs have been scored, or the last wicket has been picked, Dhoni strides out of the field with the air of someone on an evening stroll. In monumental victories and crushing defeats, there is a surreal uniformity to his demeanour at post-match presentations. He once said that at the end of every match, he looks forward to going back to his dogs, because they treat him the same irrespective of the color of the medal he’s carrying. In that statement lies the reason for, and the secret to Dhoni’s emotional balance on a cricket field. In the years that Dhoni was moulding himself as a cricketer, Indian cricket touched its nadir, and hidden microphones were talked about more than green pitches. It was even acceptable in some parts of the society to vent your frustration as a fan by pelting stones at a cricketer’s house. Maybe, Dhoni had realised very early on that beyond scoring the runs or setting fields, he had no control on the temperature of an infamously volatile fan base. By detaching himself emotionally, Dhoni ensures he doesn’t invest in cricket more than what his teams require to succeed. Both India and CSK have been richer for his poise on the pitch. At the end of the inaugural IPL auction in 2008, all eyes moved towards the star-studded sides of Knight Riders, Mumbai Indians and Delhi Daredevils. The Chennai franchise had got themselves some good men in Murali, Hayden and Hussey, but they didn’t quite have the intimidating on-paper lineup some of the others enjoyed. Ten years hence, CSK are pretty much the face of 21st century’s most important cricket tournament, and Dhoni has patiently built IPL’s most consistent and popular team over the years. The city of Chennai was throbbing with anticipation from the moment CSK’s comeback was announced for IPL 2018, and the owners made no secret of their talisman for this season and beyond. Very few leaders and cricket teams can claim to have experienced a connection with their home base like Dhoni and the Super Kings. There were those who even braved violent protests and flying lathis to make it to Chepauk when CSK played the Knight Riders in their first home match since 2015. Once again, there were theoretically stronger lineups at the end of an auction, and once again, Dhoni has led his troops to the cusp of glory. And he will know there is one more climb to make; MS knows that better than most in world cricket today. Almost all of Dhoni’s major victories have come when the opposition have been equally — if not better — equipped to win. 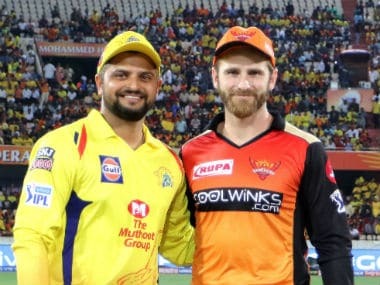 The Sunrisers have a team for the ages, and like CSK, were not tipped by many to reach where they have after losing David Warner. 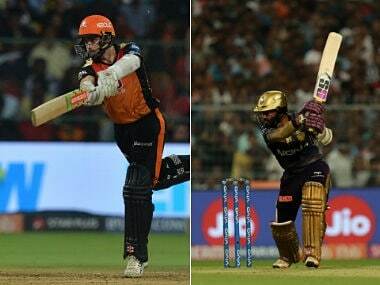 In Rashid, Shikhar, and Kane, they have a core well worthy of breaking their unfavorable record against CSK this season. A predictably large yellow contingent at the Wankhede and millions back in Chennai will be sitting with their fingers crossed and nails uncut on Sunday evening. Dhoni, however, will probably be listening to Mukesh’s ‘Main Pal Do Pal Ka Shayar Hun’ before going out for the toss, oblivious to the heightened heart-rates and perspiration that a major final brings. He has turned the clock back with his batting and leadership in this tournament, and it would be poetic if he won gold at a tournament which helped grow his legacy to new, glorious heights. It’s time for an encore, MS!